Define your future. Then make it happen. At Sweet Financial, our goal isn’t just to help manage your investments – it’s to inspire you to pursue your version of the perfect retirement. 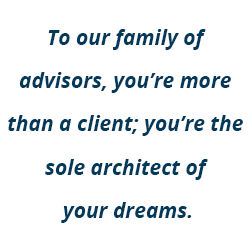 Because to our family of advisors, you’re more than a client; you’re the sole architect of your dreams. Since the founding of Sweet Financial Services in 1987, Bryan Sweet has made it his goal to help people achieve their definition of success when it comes to their financial lives. While it is important to prepare and save for retirement, he saw a much deeper need in his clients’ lives. People often get so stuck in the day-to-day that life presents, they forget to uncover what it is that they really want out of life. They forget to dream big! And on top of that they allow others to tell them they “can’t” do something or that their idea is not within reach, so they never pursue what is most important to them. When we talk about dreaming big it is so much more than material things, it is experiences. It is a process of digging deep to what matters most to you and then going an extra layer deep to understanding why that is important. It’s about taking the time to uncover your personal values and then putting a plan in place to live by them… Every. Single. Day! That’s why we’ve developed the Dream Architect: Our strategic 4-step planning process that can help prioritize what is truly important to your future and then offer a blueprint to take action. It is our dream here at Sweet Financial to be the people that help you bring your biggest goals… your biggest dreams, to life – all while giving you a greater sense of purpose as to why you’ve worked so hard to save for your retirement. It’s your dream. We’ll help you get there. Start living a bigger life. Begin pursuing the life you can’t wait to wake up to by taking our Dream Architect Assessment. Identify your goals using a consultation process that lets you zero in on what you want to achieve. Create a blueprint to ensure your finances are in line with your dreams. Pave the path to your financial future and put your ideal retirement into action. 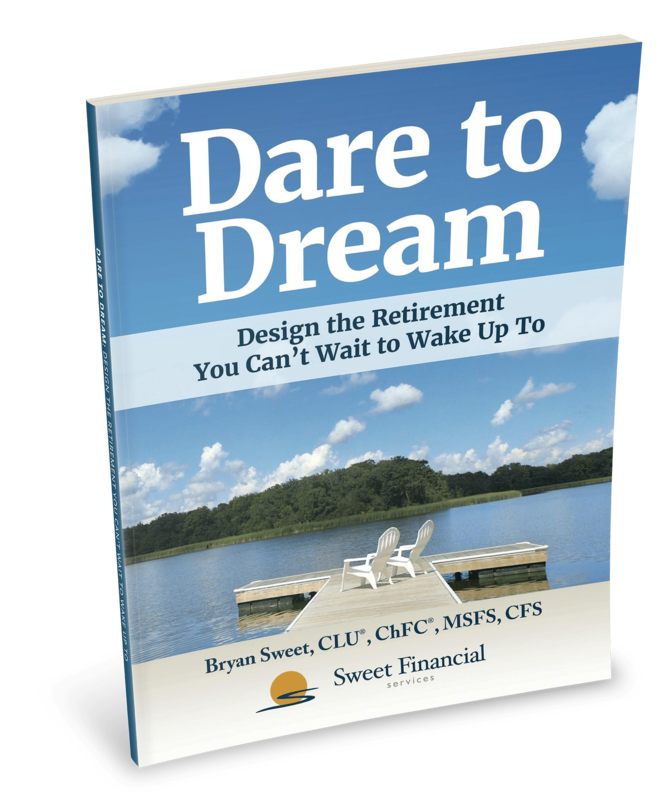 Bryan Sweet and Co-Authors wrote Dare to Dream with one vision in mind: to help you realize and achieve your retirement dreams. Learn more about designing a retirement that you can’t wait to wake up! *The Dream Architect is a proprietary program that is not affiliated with Raymond James. There are no guarantees of success with using this program.